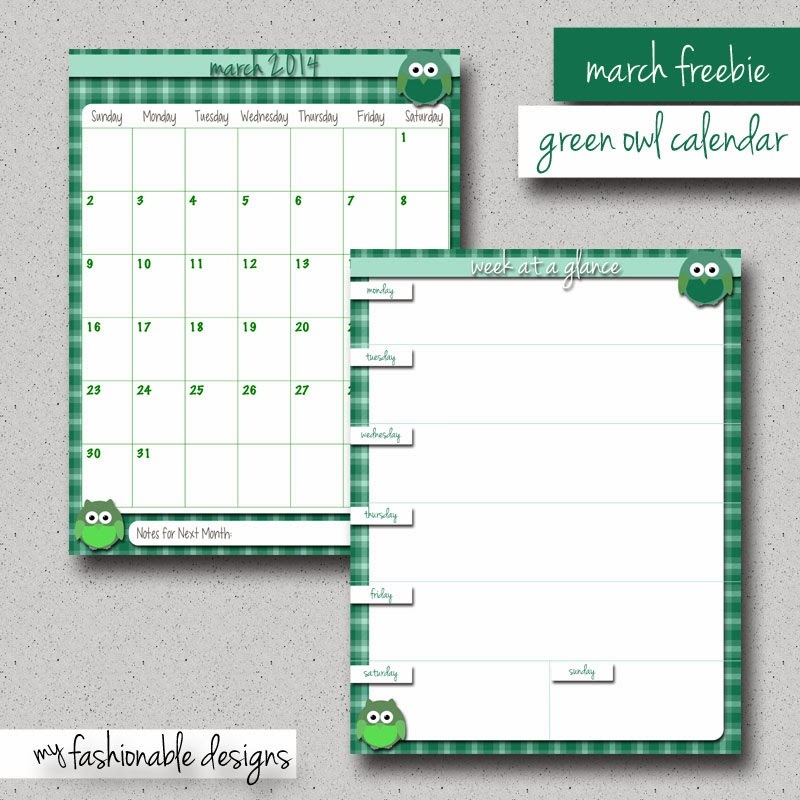 Here is a green Owls version of the March freebie calendar! This PDF download includes the March monthly calendar and week-at-a-glance. It fits nicely into a 3-ring binder. Click on image to download!